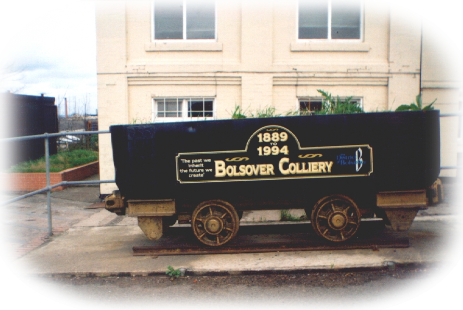 Bolsover Colliery of the Bolsover Colliery Company. 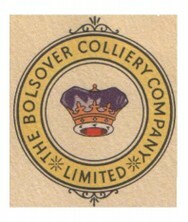 Bolsover Colliery Company was formed after Emerson Bainbridge took up a lease of land from the Duke of Portland to mine coal in the locality in 1889. Twelve men started sinking the number one and two shafts each of fourteen feet in diameter. Three hundred and fifty six yards later they reached the top hard seam that was six feet thick. 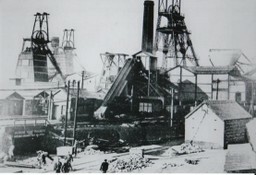 Coal was first mined late in 1891. 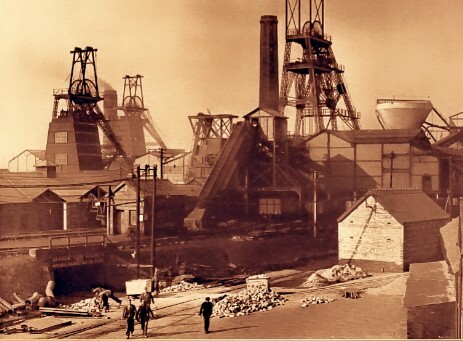 The company was chaired by Sir Henry Hall Scott until 1909 and Emerson Bainbridge until his death in 1911, the first colliery manager being Sir John Plowright Houghton. 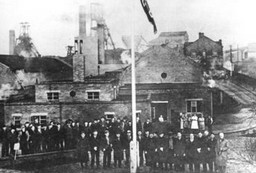 Further expansion of the company led to the opening of collieries at Cresswell in 1896, Clipstone colliery in 1922, Thorsby colliery in 1928, Mansfield in 1905 and Rufford colliery in 1913. 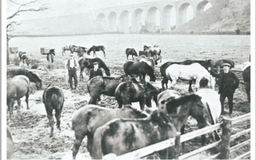 Land was leased from several local land owners to expand the company’s interests in the collieries: land from the Duke of Portland, Lord Savile and Earl Manvers. 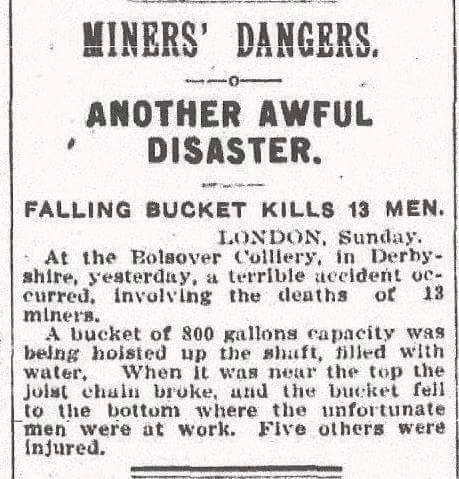 The coalfield was often called the Dukeries coalfield because of this. The Bolsover company directorship and William Arkwright of Sutton Hall were responsible for the Lancashire Derbyshire and East Coast railway in its ambitious plan to link the east and west coastal ports to coal produced on the Sutton and other local estates in the 1890's. The plan to export local coal to the coast and then world-wide was not completely successful as the line was initially only to run from Chesterfield to Lincoln and not from Warrington to Sutton on Sea with extensive coal handling facilities on 170 miles of new track as intended. 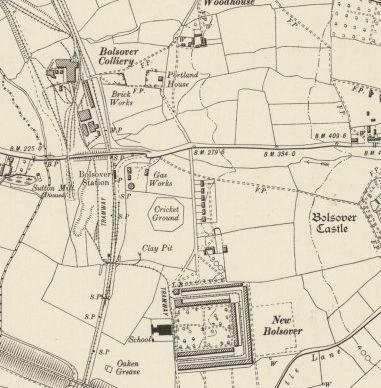 Close to the town of Bolsover and the village of Carr Vale lies the village of New Bolsover or 'the Model Village' which was created by the paternalistic Bolsover colliery company in the 1890's to house the colliery workforce. 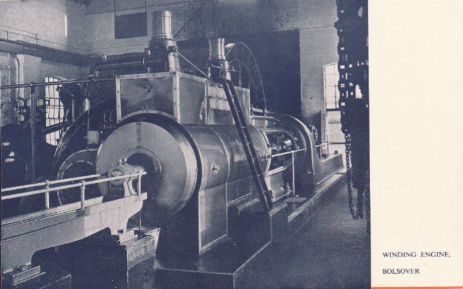 The plans were created by Percy Houghton and Emerson Muschamp Bainbridge the chairman of the company in 1888 and revised by Sir Richard Webster. Building work commenced in 1891 and by late 1892 fifty of the two hundred houses were occupied. 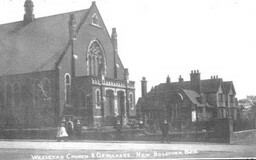 Included in the design of the village were a miner’s institute, school, co-operative store, and orphanage for children of fathers killed in the employ of the company, allotment gardens, Methodist and Anglican churches and a large assembly hall and a bandstand on the village green. 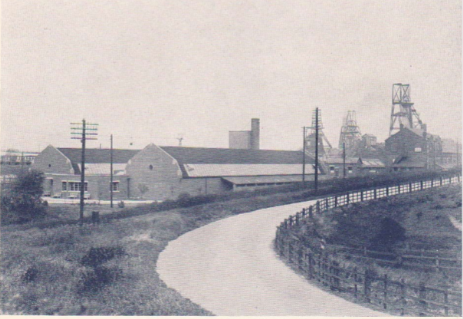 The experiment led to the building of the larger Creswell 'Model Village' in 1901 and the creation of Forest Town near to Mansfield Woodhouse. 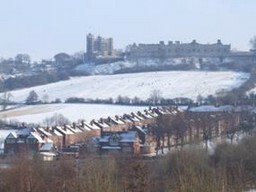 Three types of houses were constructed at New Bolsover, two types to house workers. Single story for small families and double story (attic room) for larger families and the ‘Villas’ that was nearer to the colliery to house the officials. A tub railway ran from the pit to the village to help in its construction and on completion was used to transport coal for the home fires and bring the night spoil back for disposal. 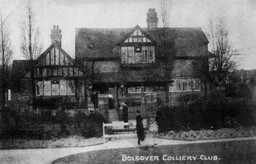 The village was patrolled by the Bolsover colliery police officer and in the 1920's New Bolsover had sergeant G.Murrey and one constable looking after the inhabitantants. In the second year of World War II, Lord Beaverbrook came up with a novel idea, this was to suggest that towns and communities throughout this country and the commonwealth raise cash to purchase fighter aircraft for the R.A.F. 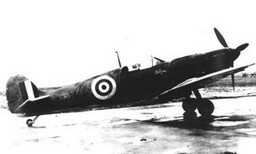 Bolsover colliery raised sufficient funds to purchase two Spitfires at a cost of £5,700 each. No mean feat for the colliery Spitfire fund as Chesterfield was unable to raise enough money to buy one aircraft let alone two. The Spitfire was chosen because of its ability to fire the senses of the populous at a critical period of the war. 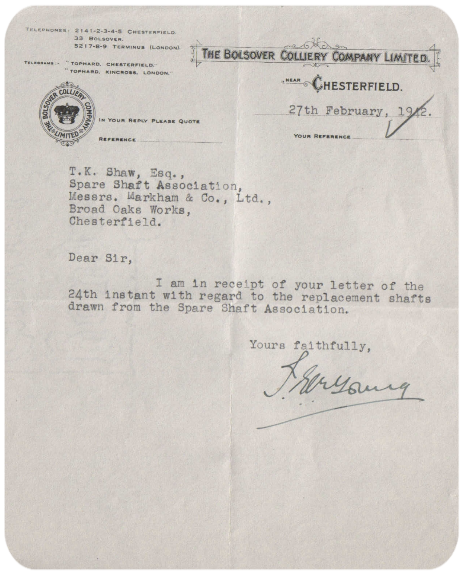 The miners of Bolsover also donated 1 old penny for every 10/- (50p) they earned, towards the SHEPLEY Spitfire Fund, donated by Mrs Shepley of Holmesfield. Both Bolsover Spitfires first flew on March 26th.1940 and were both of the Mark I's with Rolls-Royce engines from Derby and built by Vickers Armstrong (Supermarine). According to the will of Emerson Muschamp Bainbridge it was to have been expanded to have included a hospital, an orphanage, a home for aged miners and their families and offices to be used in connection with charitable work involving the proper upbringing of children. The Orphanage was later used to house mostly if not only young orphaned boys from the south of the country who were schooled and then given a job working for the company in the company mines. Whether this was compulsory or voluntary is a matter of conjecture. 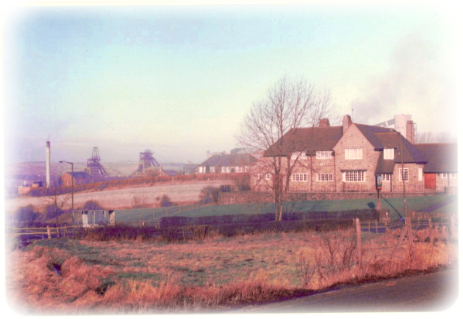 Colliery & Castle Inn. Harold Alsop. 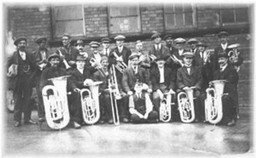 Apart from the Colliery Club men had many extramural activities to broaden their minds including the colliery band. The following photographs are of the band and in particular the relations of Jo Webley. 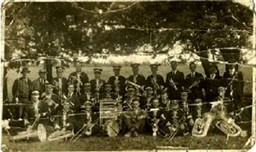 Photo with instruments, grandfather Thomas Webley is seated 1st left with the base tubor, uncle Tom is standing above him 3rd left without a flat cap. 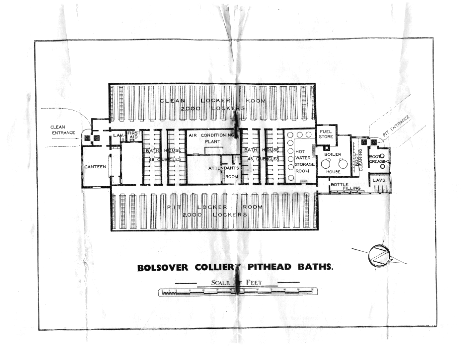 1927 Bolsover Colliery School. Some of the men are still covered in coal dust. Photo without instruments, grandfather Thomas Webley is the tallest gent 3rd right. 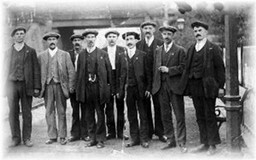 The Colliery band. Thomas Webley far left kneeling. Tom Webley 4th left standing. 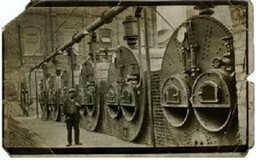 Bolsover Colliery Boilers with Mr Foster who was the bandmaster. Prior to closure. J. Rayner. 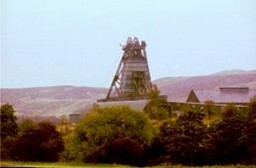 Two Views of the Colliery Just Prior to Closure. 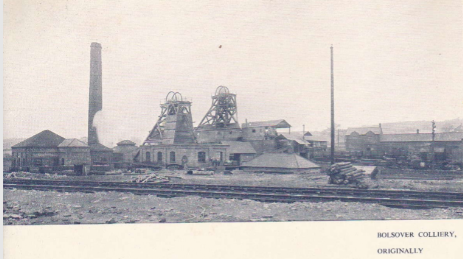 The Three Shafts at Bolsover Colliery Circa 1930. New Bolsover in the Shadow of the Castle. 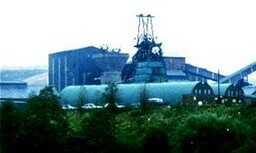 Colliery Spitfire 1 of 2. J. Ball. 560 (FromThe Late Eric Mouncey).